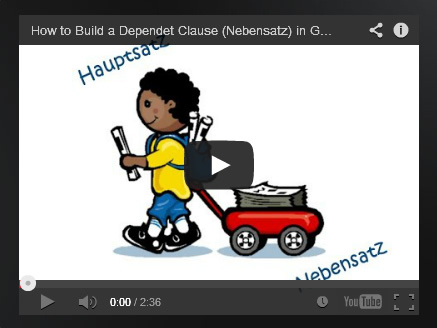 Wanna know how to build any dependent clause (or a subordinate clause) in a few simple steps? Piece of cake! Check out this video! All the tenses in the German language! 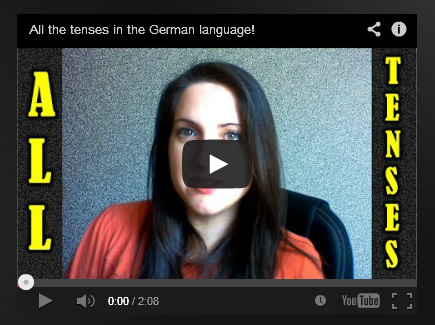 Get an overview of a regular german verb in all tenses in the German language! Present, Simple Past, Present Perfect, Past Perfect and both the Future Tenses are all here in one video! 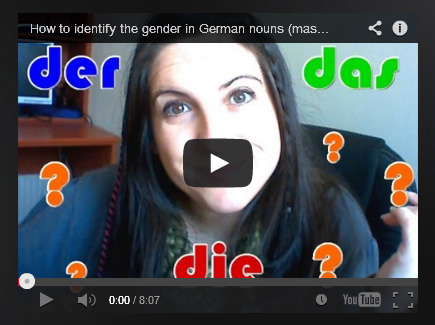 Too hard to memorize the articles of every single German noun? Here are some tricks you can use to "guess" right a lot of them, and spare yourself some time! How to Learn the Vocabulary of any Language EASILY and QUICKLY! The TeKaMoLo rule in the German language!